The OR Manager Conference and PACU Manager Summit Exhibit Hall is located on the third level of the Music City Center. 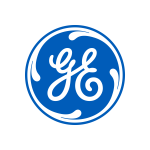 Meet with 170+ solution experts while exploring the Interactive Hybrid OR, the OR Manager Lounge and earning CEs during featured exhibitor presentations. Discover the latest research and industry trends while meeting our Poster Session authors to additional CEs and win amazing prizes while playing the Build Your Dream OR Contest! The official kickoff to the OR Manager Conference is your first look at the vendors in the Exhibit Hall while enjoying hors d’oeuvres, drinks and time to connect with old and new colleagues. Play the Build Your Dream OR Contest using the official mobile app while making new connections with your peers and solutions experts in the perioperative industry. Guest tickets are available through Registration. The Hybrid OR will feature an hour long Town Hall session during the Exhibit hours where you can learn tips and tricks for successful hybrid OR conversion and ask your questions to gain a better understanding of the process and troubleshoot potential problems along the way. During the Exhibit hours, you will have the opportunity to participate in CE programs presented by exhibitors to earn additional contact hours. Each program is worth 0.5 contact hours and you must attend at least 2 sessions to earn 1 contact hour. 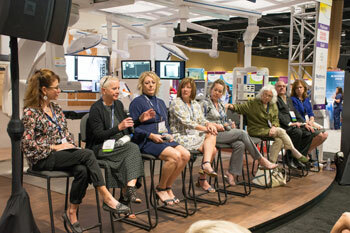 You’ll have the opportunity to meet with the 2018 Poster Session authors one-on-one to get the answers to your questions on Tuesday, September 18th for a chance to earn additional CEs after the conference ends. View the 2017 Poster Presentations and take the online quiz. While attending the OR Manager Conference, you will be able to build out your dream operating room by selecting your favorite perioperative products and services needed for your ideal surgical suite…and win fun prizes in the process! Many prizes will be given away during the contest and one grand prize winner will receive $1, 000 cash! 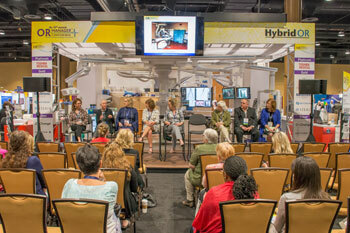 The OR Manager Conference Exhibit Hall will feature its own Interactive Hybrid OR bringing you the latest and greatest in perioperative technology! Visit the hybrid OR to learn more about product solutions for your facility and to gain insight on how to make the transition to a hybrid OR successful, whether you are building a new hybrid OR or remodeling to accommodate the new room within existing space. 3M Surgical Safety Solutions provides resources to help your team reduce the risk of surgical complications. Visit 3M booth #710 to learn more about 3M™ SoluPrep™ Film-Forming Sterile Surgical Solution, a chlorhexidine gluconate (CHG) and isopropyl alcohol prep, and the first FDA-approved surgical prep with sterile solution. Ansell manufactures a wide range of protective solutions for healthcare professionals and patients alike, providing a portfolio of synthetic and natural rubber latex surgical and examination gloves and other personal protective products. The SANDEL brand encompasses innovative products focused on addressing and eliminating safety issues for patients and healthcare staff. Avante Health Solutions is your one source to maximize capital equipment performance. We make it easier and more affordable for every hospital, clinic and medical practice to have the very best equipment, supplies and service. 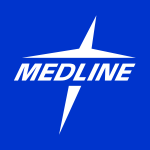 Our brands include Pacific Medical, DRE, GMI, Integrated Services, Oncology Services International, and Transtate. Brainlab develops, manufactures and markets software-driven medical technology for precise, minimal invasive patient treatments. Core products center on the areas of information-guided surgery, radiosurgery and digital operating room (OR) integration. Brainlab technology enables hospitals to transform their operating rooms into the industry 4.0 of surgery with intelligent data exchange and digitally integrated technologies. Building on a century-long legacy in cleaning and disinfecting, Clorox Healthcare offers a wide range of products to help stop the spread of infection in healthcare facilities. From comprehensive surface disinfection to advanced ultraviolet technology, we are committed to providing efficacious solutions to the healthcare community. With new products, a commitment to education and partnerships with surgeons, for surgeons, we are Advancing the Future of Minimally Invasive and Orthopaedic Surgery. Together. As a global supplier of over 25,000 medical products, DeRoyal has 25 manufacturing facilities and offices in five U.S. states and in six other countries. For 35 years, our clinical divisions, Acute Care, Patient Care, Wound Care, have excelled in bringing quality healthcare products to caregivers and their patients worldwide. 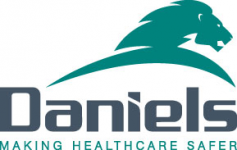 Daniels Health is a clinically focused company specializing in safety products and healthcare waste services. Our new Devicesmart line of surgical device recovery containers empowers healthcare facilities with the confidence and convenience of collecting used surgical devices safely and effectively, and providing data rich information about device collection practices. Ecolab partners with healthcare customers to deliver infection prevention solutions that help increase efficiency, improve outcomes and reduce the risk of HAIs. We provide customers with innovative solutions that solve their business challenges. Everywhere safety matters. Everywhere hygiene matters. Everywhere health matters. Ecolab is everywhere it matters. Getinge is a leading global provider of innovative solutions for operating rooms, intensive-care units, hospital wards, sterilization departments and for life science companies and institutions. From now on, names you already know like Maquet, Lancer, Atrium, Pulsion, Datascope, Steritec, Getinge, Stericool and Trans will be working even closer together under one brand, Getinge. Our job is to simplify your workflow and raise the bar in terms of how efficient, safe and productive you and your colleagues can be. Getinge offers innovative healthcare solutions that improve every-day life for people, today and tomorrow. A cloud-based healthcare operations planning and management software platform that leverages data from existing hospital IT systems, hospital policies, national benchmarks and regional real-time data sources to deliver the actionable insights, recommendations and change management support necessary for hospitals and health systems to achieve financial stability and growth. Intuitive Surgical is the global leader in minimally invasive, robotic-assisted surgery. Its da Vinci® Surgical System – with a 3D-HD vision system and EndoWrist® instrumentation – enables surgeons to offer a minimally invasive approach for a range of complex procedures. da Vinci is used in more than 3,500 hospitals around the world. ASP supports healthcare facilities in the fight to protect patients against three primary sources of HAIs: medical devices, the environment and human contact. Our solutions include Terminal Sterilization, High-Level Disinfection and other solutions. Visit us at www.ASPJJ.com. 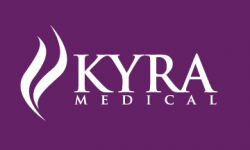 Kyra Medical is an innovative medical device company focusing on surgical positioning for gynecology, laparoscopy and urology procedures. Olympus Medical Systems Group, develops solutions for healthcare professionals that help improve clinical outcomes, reduce overall costs and enhance quality of life for their patients. By enabling less invasive procedures, innovative diagnostic and therapeutic endoscopy, and early stage lung cancer evaluation and treatments, Olympus is transforming the future of healthcare. Seal Shield is a world leader in infection control technology, specializing in washable electronics and antimicrobial science. Seal Shield designs, develop and manufacture medical grade, infection prevention technology for hospitals and the home, including UV disinfection devices, antimicrobial products, screen protectors, waterproof keyboards, mice, and TV remotes. It is Seal Shield’s goal to become the leading provider of innovative infection control solutions, improving healthcare outcomes, and reducing the costs associated with hospital acquired infections. ShiftWizard makes healthcare staff scheduling & communication easy, so leaders can focus on what really matters–improving patient outcomes. ShiftWizard's workforce management software was designed by nurses specifically for healthcare organizations. 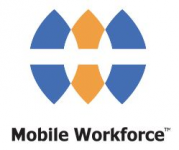 They offer integrations with all major EMR and Time & Attendance systems to enable cost-effective decision making based on real-time Worked Hours per Unit of Service measures such as HPPD and HPPV. ShiftWizard's clients range from nation-wide enterprise health systems to regional skilled nursing facilities. Sony Healthcare Solutions provides quality 2D, 3D, Full HD, 4K and 3D 4K solutions including video cameras, displays, recorders, monitors and printers for medical applications. Long a leader in professional electronics, Sony has harnessed that same expertise to lead medical visualization for over 30 years. Learn more: www.sony.com/medical. More than 13,500 physicians at 1,000 hospitals trust SpecialtyCare to provide perfusion, intraoperative neuromonitoring, autotransfusion, sterile processing, surgical assist, and minimally invasive surgical support for over 400,000 procedures annually. Our commitment to improving patient outcomes enables our customers to be certain they have the best partner for clinical excellence. Stryker is one of the world's leading medical technology companies. The Company offers a diverse array of innovative products and services which help improve patient and hospital outcomes. Stryker is active in over 100 countries around the world. Please contact us for more information at www.stryker.com. Syús is the new standard in surgical services analytics. We pick up where other systems leave off by providing today’s busy perioperative leaders with powerful, easy-to-use, data-powered tools to right-size their ORs and staffing levels, standardize supply and implant use across surgeons, increase surgical volume, and improve patient satisfaction. US Surgitech’s mantra, “Your Source For Medical Products”, began with a revolutionary vision for the surgical consulting industry – to pair excellence in quality and service with unmatched affordability. Continually reinventing ourselves to meet our surgeon’s needs to provide innovative products to improve patient safety and efficiency in the OR. The Virginia Commonwealth University Health System is an urban, comprehensive academic medical center in central Virginia established to preserve and restore health for all people, to seek the cause and cure of diseases through innovative research, and to educate those who serve humanity. Xodus Medical is making surgery safer with The Pink Pad XL advanced patient positioning system, the innovative, clinically-preferred product for increasing patient safety in Trendelenburg — preventing unwanted patient movement, while protecting skin and nerves from injury and pressure-related complications. See the new One-Step face and arm protectors. Zimmer Surgical manufactures, markets, and sells surgical equipment that supports a patient's orthopaedic journey through a hospital while delivering valuable solutions to hospitals and health systems. Products include: Blood Management, Bone Cement & Accessories, Fluid Waste Management, Power Equipment, Saw Blades, Skin Grafting, Soft Goods, Tourniquets, Traction, and Wound Debridement.